We decided to get new phones after Christmas. We own the iPhone 5S that we got three years ago in a two-for-one deal from our carrier. It wasn’t the latest tech even then, but it was a tenfold leap over the are-you-about-to-burst-in-flames Android phone that I owned at the time. In spite of hitting my storage limits a couple times because of family videos and pics, and a battery that seems to last less than a full day with my usage of power hungry apps like Pandora and audiobook players, it’s been an acceptable little workhorse. A tech savvy family member says I only need to upgrade to an iPhone 7. We are going to the mobile store in the next few days to buy. I meant to reply to apm. Could having your battery replaced hold you for a while longer? Is it economical to have your battery changed and hold onto it until 5G phones come out? Up front, I have a Motorola XT1575 which has 24GB internal storage and a 128 GB SD card which I installed. I purchase from Republic Wireless which uses WiFi as much as possible. My monthly phone bill is $22 including tax. My phone is about 2.5 years old and the battery was wearing out. In December 2018, I had my battery replaced for a total of $65. During December, I shoot lots of band videos with the phone plus external battery. After finding a place locally that could change my battery at about half what is normally charged, I decided to have the battery changed. I see come Spring, 5G phones will be available from Republic Wireless, so I will wait. I am not one glued to my phone so this solution works for me. I might be Apple's problem. I have an iPhone 6+ which I have owned for years. I took advantage of Apple's special $30 program to upgrade the battery and it made a huge difference. I don't know why I'd want a new one? My husband has a newer phone and it takes better photos the camera in mine is fine. Should you upgrade to the iPhone 7? I understand not wanting to upgrade to the X/XS, but why not the 8? The 7 will be 3 years old by September this year. I guess an Android phone is not an option? I think you make a good argument for getting a new battery and waiting if your sights are set on a 5G network compatible phone this spring. In our case, we definitely are not waiting for 5G. We just moved from a home that had zero cellphone reception (unless we used our ridiculously slow WiFi) to a new place with great cellphone reception and with 10 times faster WiFi. I love graphic design and use Adobe apps to create images on my iPhone: you’ll probably see more of them uploaded with my posts over the coming months. Is it legit? Can Apple still claim better security than Android? Saw this earlier too. I think it's nonsense on two parts. Firstly, what iPhone users do on their phone doesn't stay on their phone. If people back up their photos to iCloud or use any other of Apple's services for example, their data obviously isn't remaining on the phone. Secondly, iPhones (and related services) are not immune to security breaches. Remember that massive celebrity iCloud scandal a few years ago? And apparently last year iCloud login info was breached as well. The 7 will be 3 years old by September this year. The iPhone 5S was at least three years old by the time we bought one. I have no problem with buying an 8 or higher, but I was told the 7 would meet my functionality and performance needs. Good question. We like the iPhone so we’re just looking for the same experience in a newer shinier model. Honestly I would consider the 8 rather than the 7. I went for the X when it came out and it was too soon -- only with most reason updates is it finally being the phone I wanted. Apple does have better security than Android (in general, being a single vendor controlling the whole stack, from transistors, to build, to OS, to software), but I think their point was different. 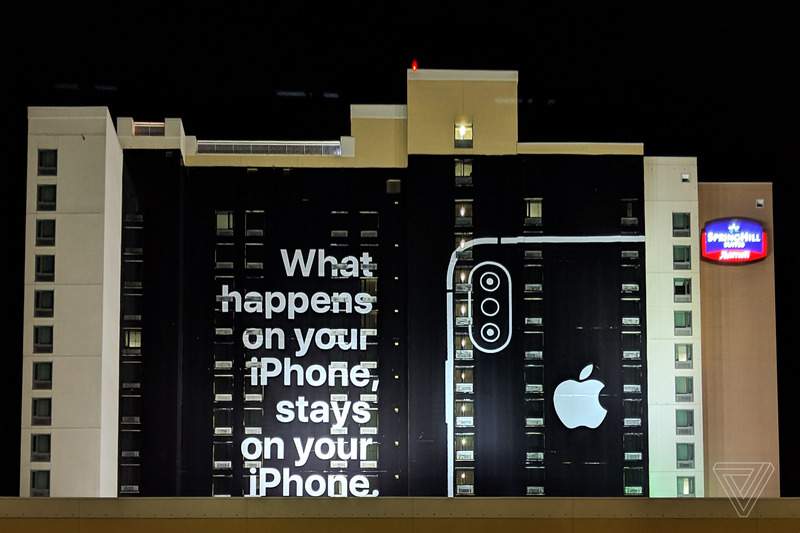 I believe the idea of the ad is that with Apple your privacy is better protected than on an Android (with Google being an ad and search company which uses your data for profiling). Which is a fair point, and becoming more and more relevant as the time goes by. Personally, I am on an Android, and I do trust Google with my data, and understand the privacy trade-off of using their services. On the other hand, I am not on Facebook precisely because I do not trust them with my data and do not find their service worthy of a privacy cost involved. More to the point, if you're on an iPhone because Apple doesn't spy on you, but you are on Facebook, you're like one of those people that are declared health nuts who take supplements and exercise regularly, but at the same time smoke a pack of cigarettes a day.